“Zap, Pow, Bam!” is the theme of the next Target Free Family Saturday at the Japanese American National Museum, 100 N. Central Ave. in Little Tokyo, on Oct. 12 from 11 a.m. to 4 p.m.
To celebrate the opening of the exhibition “Marvels & Monsters: Unmasking Asian Images in U.S. Comics, 1942-1986,” the event will feature comics-themed crafts and activities. 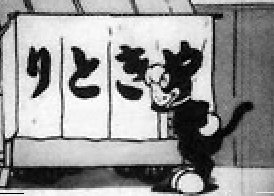 Anime from the 1920s and 1930s will be shown. 11 a.m.-2 p.m.: Join Kidding Around the Kitchen for an assemble-it-yourself popcorn snack to enjoy while watching vintage Japanese anime. 11:30 a.m.: Curator Jeff Yang will guide families of all ages in a gallery talk of the “Marvels and Monsters” exhibition that is sure to keep even the little ones engaged. 12-3 p.m.: Turn yourself into a comic-book character with a caricature drawn by Cartoon Slinger (for children only; line ends at 2:30 p.m.). 12 and 2:30 p.m.: Join curator Jeff Yang and artists Jeremy Arambulo and A.L. Baroza for “Build a Hero” (12 p.m.) and “Build a Villain” (2:30 p.m.) — interactive events where they’ll lead the audience in collaboratively creating an original comic book super-character who’ll be drawn in real time by comic artists from the “Secret Identities” and “Shattered” anthologies. Book-signing to follow each session. 1-2 p.m.: “Our American Voice,” a special two-person show exploring six diverse stories of Asian Pacific Americans, will be performed in the “I Want the Wide American Earth” exhibition gallery. Presented in partnership with East West Players. 1- 4 p.m.: Team up with your buddies to take down villains in superhero video games brought to you by GameTruck. • It’s a bird…it’s a plane…it’s you! Decorate a super-stylin’ superhero cape. • After you create your superhero costume, capture yourself in action at the complimentary photo booth. • At Ruthie’s Origami Corner, come make a baby pterodactyl. For more information, call (213) 625-0414 or visit www.janm.org.